Get a Piece of the PIE! All Educational Employees will get a piece of the PIE with the Red McCombs Partnership In Education Program. You can also email the Director of the Partnership program for Red McCombs, Dr. Jo Ann P. Gonzalez, requesting your Partnership In Education Discount Card, which you are able to use at all our San Antonio participating businesses. 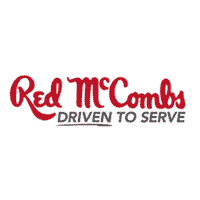 Red McCombs is proud to announce the Partnership In Education (PIE) Employee Recognition Program. All school employees are eligible and encouraged to participate during their designated district month by nominating fellow co-workers that have gone beyond the call of duty on their campuses or in their work areas. * All school and University employees must provide a photo ID with proof of employment to receive all special discounts. The following are the procedures that are suggested to assist your district in the implementation of the employee recognition program. Each district will have a total of 15 days to process the nomination forms for the program. During the first 10 days, district employees nominate co-workers by completing the employee nomination form. On the 11th day the nomination forms are submitted to the district designated point of contact. The designated point of contact will be responsible for selecting the five district candidates and forwarding the forms to Dr. Gonzalez at Red McCombs by the 16th day via fax to 210-522-8453 or via email to sgonzalez@redmac.net. The five selected candidate forms will be forwarded to Ms. Marsha McCombs Shields (President of the McCombs Foundation) and her committee will select the winner of the “Red McCombs School House Award” for the district. The winner will receive the “Red McCombs School House Award” plaque, a photo opportunity with Red McCombs and or Ms. Marsha McCombs Shields that will appear in our local paper and PIE web site with a brief employee biography.